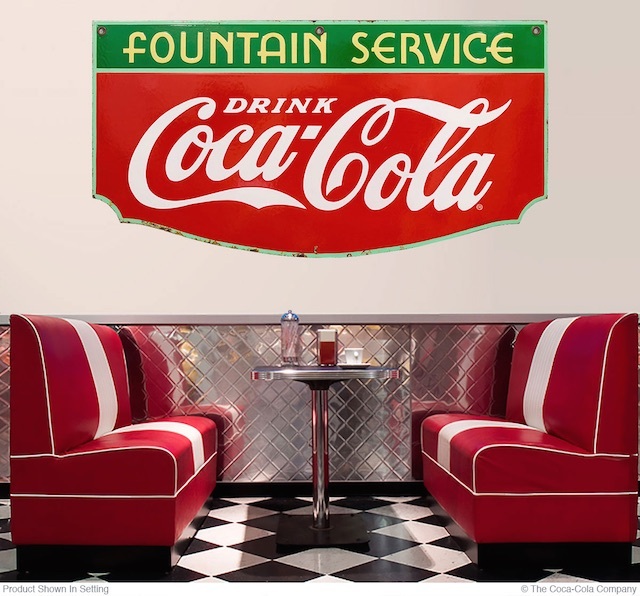 If you need some ideas to decorate a large wall space, our large Coca-Cola wall decals are the perfect choice! Not only is Coca-Cola arguably the most popular American brand of all time, but its style is bold, colorful, and instantly recognizable. Think of the company’s red and white color scheme; the simple yet elegant Coca-Cola script logo; or classic icons like the contour bottle or Coke Santa. 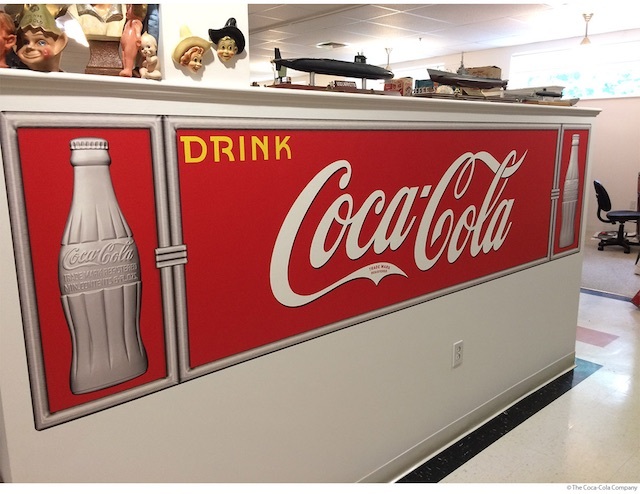 The company has a long tradition of producing big advertising signs for grocery stores, soda fountains, and restaurants; and these vintage Coke signs command proportionally big prices on the collector market. This is where our large Coca-Cola wall decals come in. 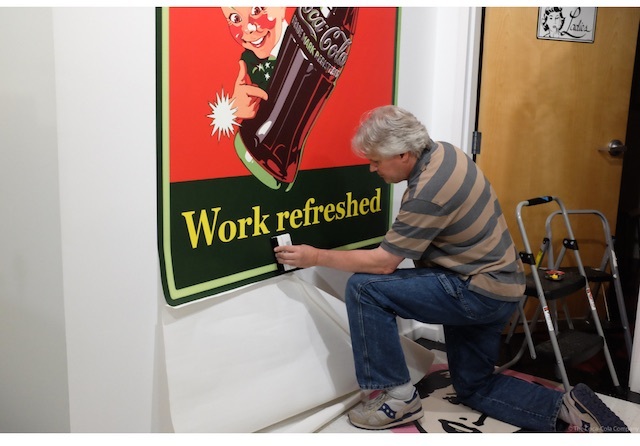 We offer tons of removable wall decals that replicate the look of large, vintage signs – many with simulated distressing that’s part of the artwork. 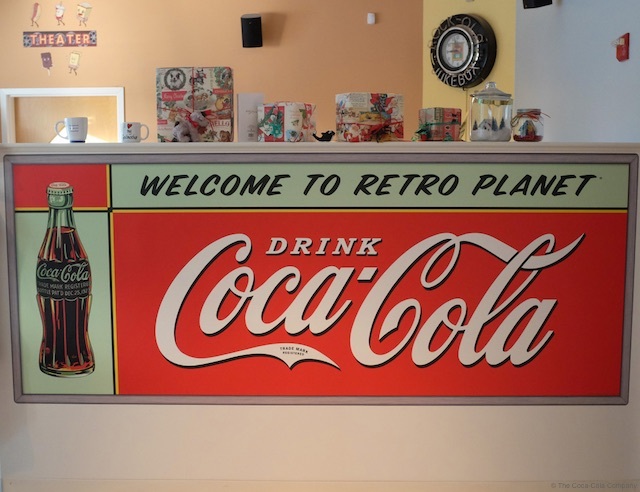 We also work with the Coca-Cola company to create unique, vintage-style designs. Either way, these are Retro Planet exclusives that you can’t get anywhere else. And at large sizes – some up to 10 feet and larger! —these striking decals just blow you away. 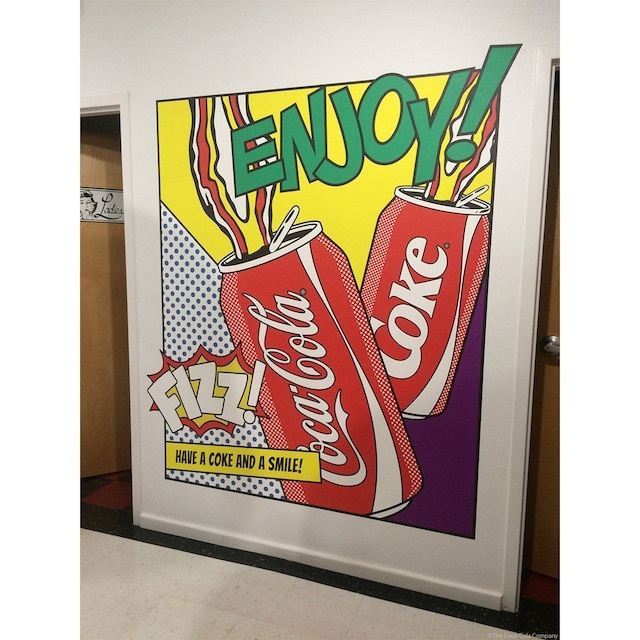 Despite their big sizes, our Coca-Cola wall decals are easy to put up and remove, with simple peel-and-stick application. Decorating with wall decals is faster and cleaner than painting a wall or putting up wallpaper. And unlike signs, wall decals don’t put holes in your walls, so they’re perfect for dorm rooms, apartments, or offices. 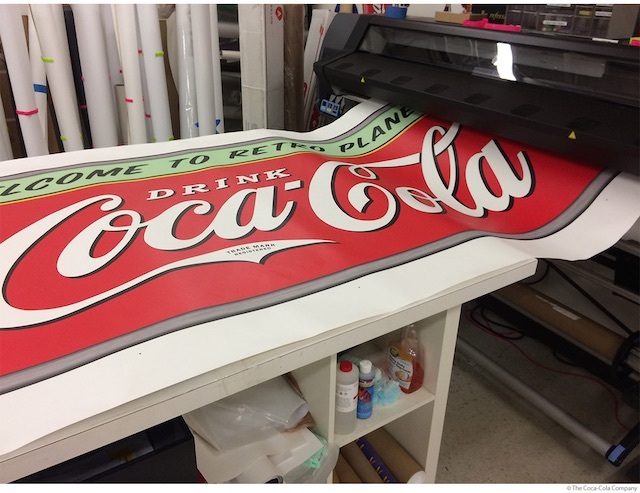 With these large Coke decals, you can easily create a DIY statement wall in your business, or decorate a large kitchen or vaulted wall. We also offer wall decals that can be personalized with your company name or any wording you like! You can’t beat decorating with personalized wall decals that combine your special message with a classic Coca-Cola design. These are perfect for restaurants, bars, and other businesses; but they also add a fun retro look to a home kitchen or company lunch room. 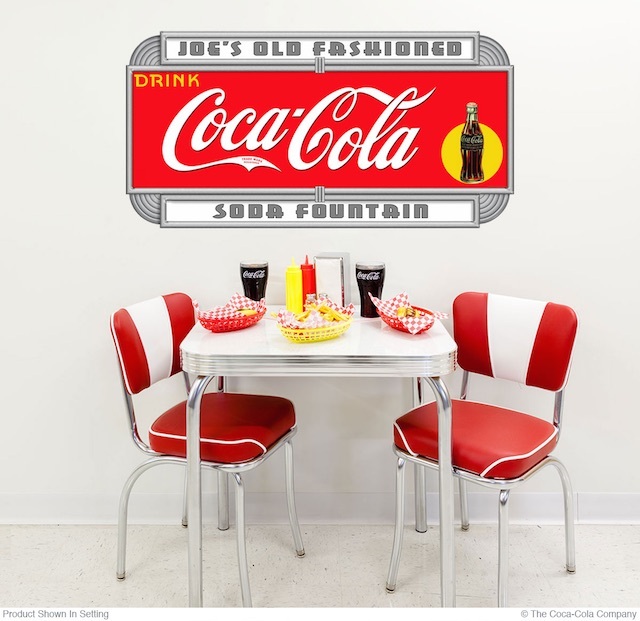 Now that we’ve inspired you, check out our Coca-Cola large wall decals and turn that big, blank space into a fabulous feature wall!